You are here: Home / Summer Music in the Park – Sounds for the Soul! 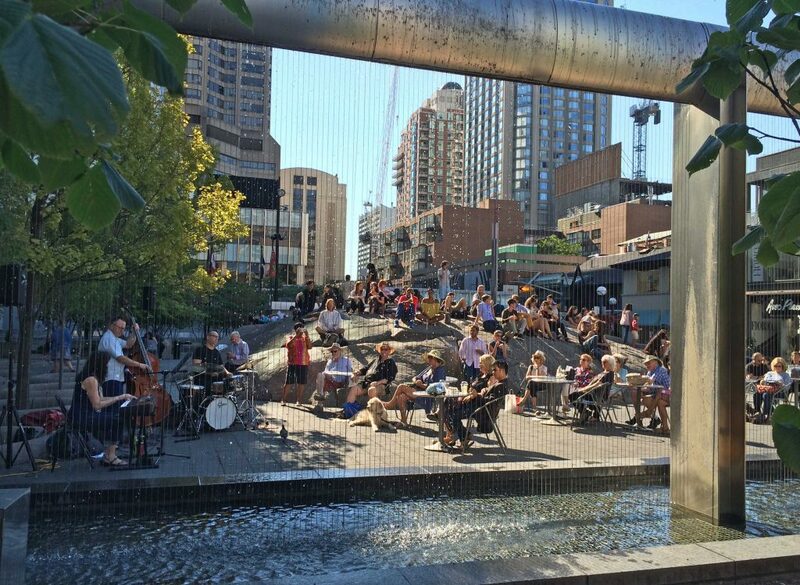 Riding on the success of the TD Toronto Jazz Festival, the Bloor-Yorkville BIA continues to put music in your ears with the Summer Music in the Park music series. 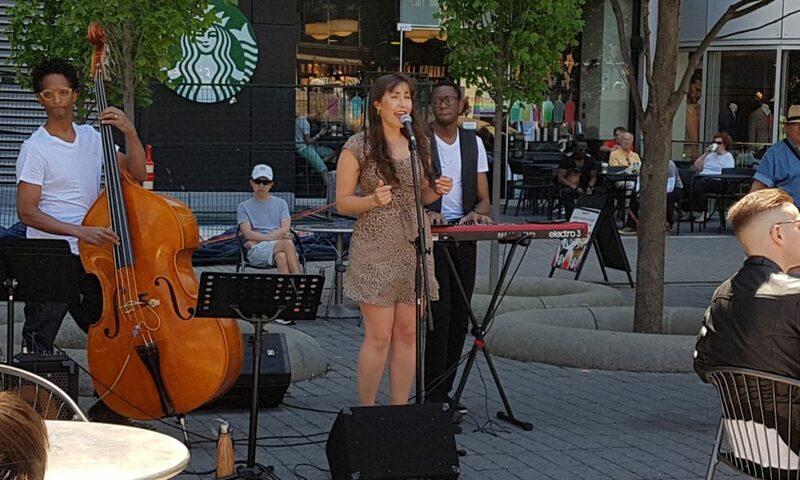 Back to add the ambiance of music to the area, the program takes place throughout the summer in the Village of Yorkville Park, located at Bellair St. and Cumberland St.
Drop by on on August 12th to enjoy the amazing vocals of Gyles. On August 20th, vocalist, composer, arranger and band leader Cat Bernardi will perform with her Trio. Cat Bernardi Trio returns on August 20th. Cat Bernardi’s love of music began when she was just a young girl, listening to Natalie Cole’s “Unforgettable” album while cruising on long car rides with her father. It was not long before other jazz icons like Ella Fitzgerald, Nina Simone, Holly Cole and Billy Holiday coerced her into singing jazz music herself. 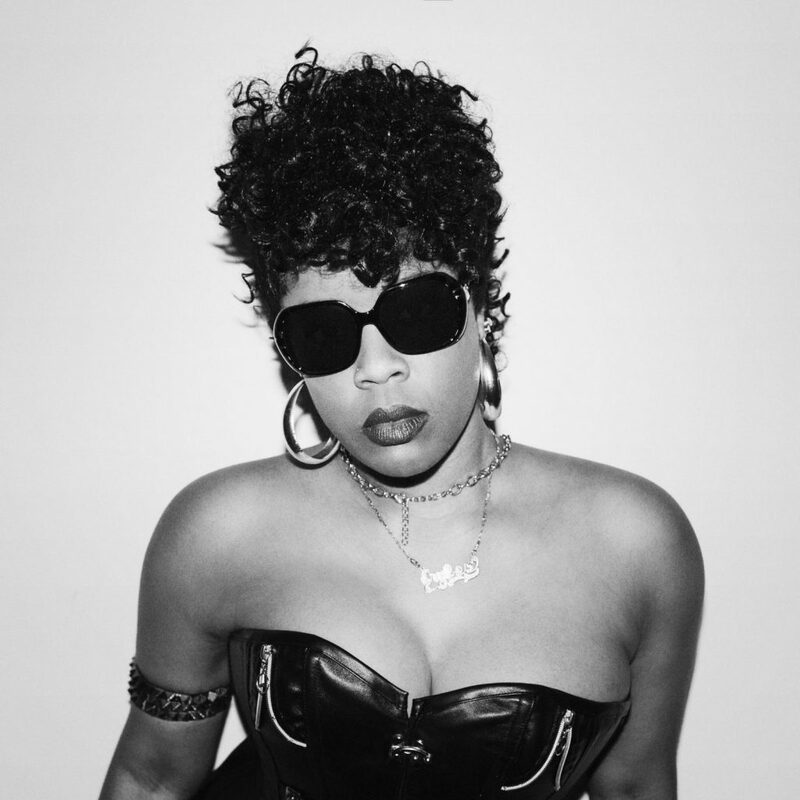 It is Cat’s original music and distinct style that have had her invited onto Rogers TV twice to perform her original songs, and to be nominated as Best Music Artist in the prestigious 2016 MARTY awards. Cat released her debut EP “Minor Ballad/Major Romance” to great acclaim in June 2014. On September 2nd, stroll over to the Park to enjoy the sweet sounds of jazz as Liane Fainsinger performs with her Trio. The Summer Music in the Park concert series takes place Fridays 11:30 am – 2:30 pm and Saturdays, Sundays and Statutory Holidays between 1:30 pm – 4:30 pm, from June 9 – September 9 (weather permitting). Click here for full listings of performances.